Happy New Year 2008!! | FULL MOE PANIC!!! SO, the year 2007 is over and we shall step into the brave new year of 2008. 2007 has been a rather eventful year for me. I stepped into the world of otakuism, created my own blog attended college, and so on. I would like to wish everyone a happy new year from the bottom of my heart and may we meet again in 2008. Happy New Years to you Setsuna-san ^^. Happy New Year to you too, Setsuna-san. 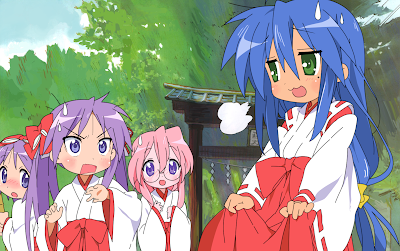 KOnata in miko = FTW ^^.